National Best Friend Day seeks to celebrate best friends and the contribution that best friends make in our daily lives. They are the person that you can always rely on, someone genuine, trustworthy and who accepts you for who you are. Today, we celebrate the many friends we have at Springmoor. Some are life-long friends, some met in college and have reconnected again in retirement, some met at work and some met when they moved in next door to each other. When asked to describe their friend in one word, they both found that much to difficult. One word was not sufficient! Eunice says of Peggy, “She is fun, friendly, and a wonderful care-giver.” Peggy describes Eunice as a “Saint. She is so very good to everyone. 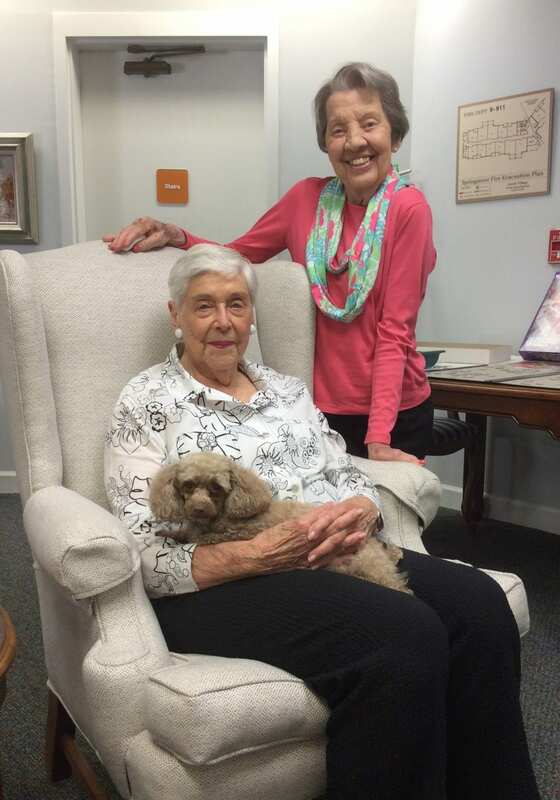 She visits the Stewart Health Center everyday to say hello to her friends.” She takes her little poodle Ginger too. 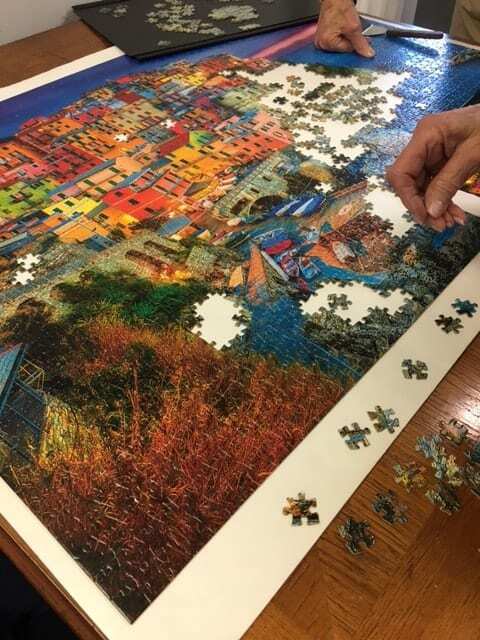 The puzzle table with their 2000 piece Cinque Terre. Peggy loves to cook and was preparing special treats for her family’s beach trip this afternoon. Eunice was quick to say that Peggy chooses something special for each one of them. They will all stop by tomorrow on the way out of town to pick up something from their mom’s kitchen. Cheese straws, chocolate chip cookies and a chocolate cheesecake have all been prepared today. The two grew up in North Carolina. Eunice grew up on a Harnett County farm in central North Carolina while Peggy was raised in Marion in the western part of the state. They have both landed in Springmoor’s West Wing and met at the puzzle table. Sitting for hours, sometimes not saying anything but enjoying the excitement of building a puzzle together. And sometimes, chatting more than puzzle making. Ginger is usually not far away, curled up on the floor beneath their chairs. 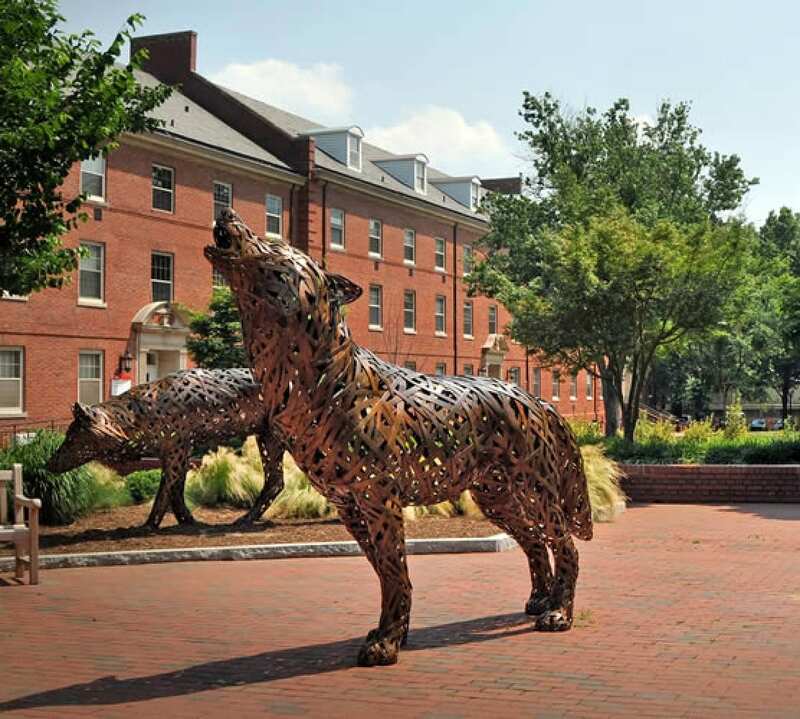 Nadine Tope and Jan Christensen met at North Carolina State University. They moved to Raleigh, Nadine from Indiana and Jan from Wisconsin, within eight years of each other. They both started careers in the Cooperative Extension Agency at NC State. Nadine’s department prepared the research and Jan’s department edited the publications. The two, although in the same office, never did much outside of the office together. The both retired from the university in the early 90’s. At a home economics office event Jan heard Nadine say she was looking for someone to go to the NC Symphony. Jan was quick to raise her hand and say, “Oh, I will go!” They have been going to both the Pops, Classical and Summerfest series together ever since. They have North Carolina Ballet tickets too. Jan, the “avid sports fan” (as Nadine describes her) is the one that gets the tickets for NC State Basketball (both men and women’s games), NC State football, an occasional Hurricane Hockey game and Durham Bulls baseball games. Nadine tags along for the excitement. The NC State campus with their beloved wolves. Friends for more than forty years, the two have dinner plans tonight with the Springmoor Out-To-Dinner group. 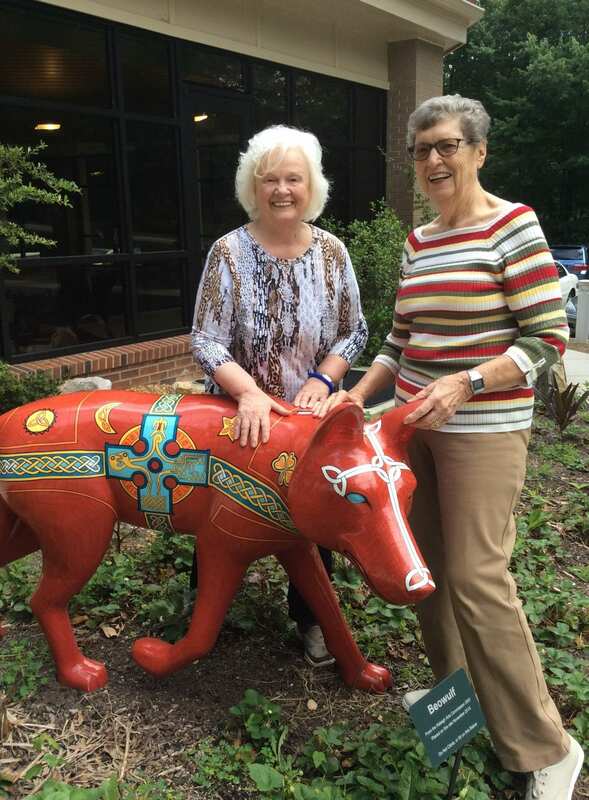 42nd Street is where you will find these two NC State retirees on this National Best Friend Day. Happy Best Friend Day to you and all the other Springmoor gardeners, puzzle pals, bridge friends and exercise buddies!